 The Residences at Blackstone are newly developed duplex, threeplex and fourplex townhomes located at the base of Canyons Resort and the 13th hole of the new Canyons Resort Golf Course, close to the Cabriolet Lift. The three bedroom floor plans include a heated tandem two-car garage and feature 9 foot ceilings, 8 foot doors, gourmet kitchens with custom cabinets, granite countertops, Viking appliances, and private decks with a hot tub. Developed by Bern One LLC, with a history of developments in Deer Valley Resort including Black Bear Lodge, Chaparral, Comstock Lodge, Glenfiddich, and Red Stage Lodge. Amenities will include a large heated pool, fitness center and a clubhouse.